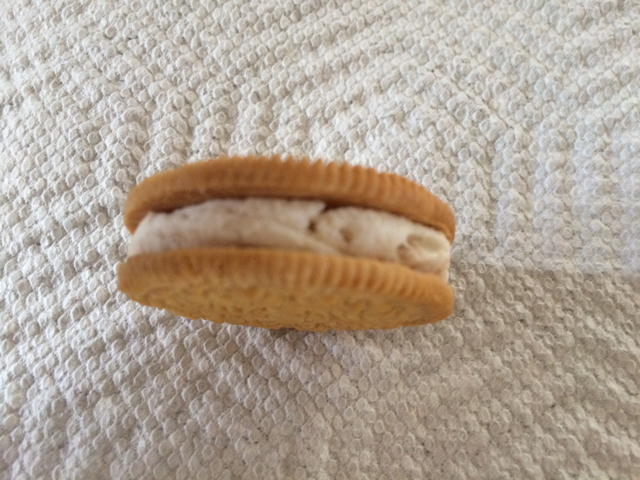 In my quest to try new Oreo flavors, I am adding another one – Marshmallow Crispy. They came out about the same time as the Cookie Dough flavor, which I liked. I loved the Cookie Dough flavor and it was obvious that many others did, as well. They sold out very quickly in the grocery stores. 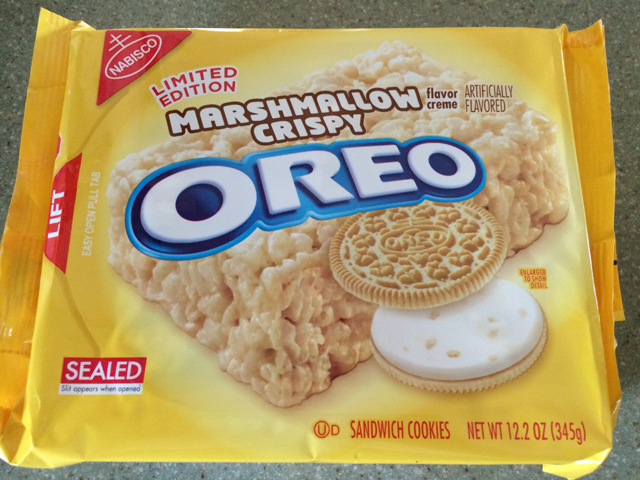 The Marshmallow Crispy flavor stayed on the shelves much longer and were easy to obtain. My thoughts on this new flavor? They are just ok. Not horrible, not stellar. Just ok. 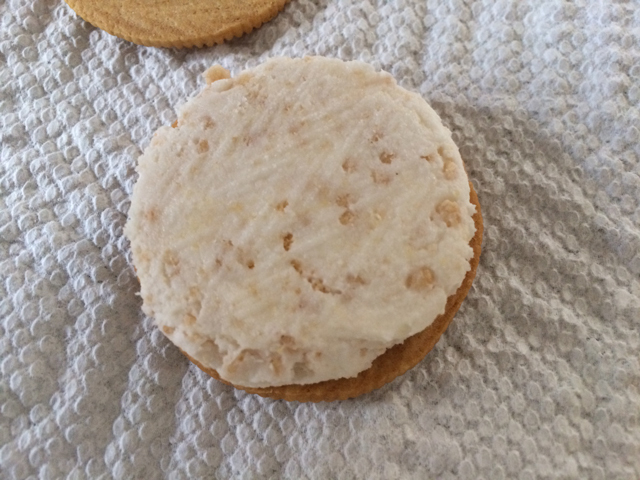 The marshmallow cream filling is consistent, but the flavor just didn’t do it for me. I guess I was looking for more of a Rice Krispies recreation, but ended up getting something that was too sugary. Of course, I realize this is a cookie and comparing a cookie to breakfast cereal isn’t always logical. I would love to try the Cookie Dough Oreos again, if they would bring them back someday. In the meantime, I have shared the remainder of this package of Marshmallow Crispy Oreos with others. Now, see… I LOVED these. I thought the flavor was spot on, and the krispies really sold the flavor for me. The Cookie Dough, on the other hand, had a distinct “coffee” flavor to them that I didn’t like at all. Oh well, to each their own! Now onward to WATERMELON OREO’S!!! Steven and I actually had the exact same review as Dave! I never seemed to get the coffee flavor, even though others like Kim also thought the cookie dough Oreos had that flavor to them. As for Watermelon Oreos, I didn’t have a desire to try them. I haven’t tried any of the limited time flavors they have out. I can’t even remember the last time I bought Oreos. My favorite are the peanut butter ones and I usually buy those if I can. Hmm..I really can’t remember the last time I had any Oreos. Well I might have to add them to the grocery list! I try to cut down on the number of cookies I eat. So whenever they come out with limited time flavors, I buy a package. But I end up giving a lot of them away to others “Here, try this flavor” That way, I don’t get temped to eat the entire package.